Every building has its normal life. Its life is extended by some more years by carrying out certain repairs. It is however risky to continue in occupation of the building which has run its life. A Co-operative housing society has therefore to reconstruct the building after it has run its life. As it may be difficult for any co-operative housing society to raise the funds for reconstructing the building from its members in a short spell of time, it becomes necessary to establish a Sinking Fund right from the inception of society. A provision has, therefore, been made in the bye-laws, enabling a co-operative housing society to collect contribution towards this fund from its members at a fixed rate per month. The rate fixed under the bye-laws is ¼ per cent per annum of the cost (b) A flat includes a godown, showroom shop or a garage. It may be noted that the contributions at the rate mentioned above are to be collected only on the cost of construction and the value of the land included in the cost of construction has to be excluded. A building sinks in course of time due to its wear and tear but the land remains as it is even if the building collapses. The amount in the sinking fund is required to be utilized when the reconstruction of the building is due. This is a very long period. During this period the contribution received from members by a society should stand invested on long term basis so that such an investment will fetch substantial return to the society. As per Bye-law No.15 and Section 70 of M.C.S.Act. 1960. However, the societies which have not adopted the new provision, regarding investment of sinking fund contribution on long term basis, need not put off the questions of the said bye-law because it is in their own interest to ensure that the contributions are received from members towards sinking fund on long term basis from time to time. It is brought to the notice of the Co-operative housing societies that if they go on investing only the contribution from members towards sinking fund at the rate of ¼ per cent per annum of the cost of construction of the flats and utilize the interest earned on such investments in their businesses, the total amount to the creation of sinking fund will not be sufficient to meet the cost of reconstruction of the building only if the sinking fund is invested on long term basis, along with the interest earned on such investment. A co-operative housing society can invest its fund in the State Co-operative Bank i.e., the Maharashtra State Co-operative Bank Ltd., Bombay or the district Co-operative Bank i.e., the Bombay District Central Co-operative Bank Ltd., of the securities specified under section 20 of Indian Trusts Act. Although the Registrar can permit Co-op. Housing Societies to invest their funds in the National banks or other commercial banks or the Urban Co-operative Banks. This facility is given only for facilitating day to day banking transactions. A long-term investment has, therefore to be made by Co-operative Housing Societies with either of the two banks named above. All Co-operative Housing Societies should therefore, note that they have to invest their sinking fund collection is one of the above two banks. So far as securities under section 20 of the Indian Trustees Act are concerned, the list of the securities in which Co-operative housing can invest their sinking fund is published in the new bye-law. Home Loan Agreement: With the ongoing flurry of activity and festivity prevalent in the home loan segment of India recently, a large number of people, in the euphoria to acquire that dream house, tend to overlook some of the most important clauses in the home loan agreement. However, what they don’t realize is that these clauses have a significant bearing on wide number of areas ranging from interest rates to repayment schedules. Some of the simple clauses of the home loan agreement regarding to simple matters, such as how often the housing finance company resets interest rates in a year can make a considerable impact on the floating rate home loans. The norms in the industry practices suggest that interest rates for home loan consumers are reset only when the bank’s prime lending rate is changed.Therefore it is the frequency of these resets that is really important. 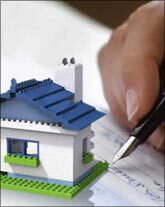 Some of the finance companies offer home loan agreements wherein the interest rates are reset in each quarter. Alternatively, there are other companies who do the revision only once a year. Sadly not many home loan consumers are aware of the clause related to the fixed rate homeloans, which the financial companies some times insert in their home loan agreement. This ignorance can cause the customers unintended losses in case of revision of the fixed rate home loan rates. Most of the customers are not aware that this particular fixed rate clause in the home loan agreement permits the financial institutions to change the loan’s repayment schedule and terms and conditions. The financial institutions in a rising interest rate environment might exercise this option in order to safe guard themselves and in the interest of their own company. This move is usually not in the best interests of the customer or the home loan seeker as the modification of the repayment schedule, terms and conditions might affect the overall repayment of the consumer. The long list of terms and conditions of the home loan agreement, usually contain clauses which might possibly have a number of significant implications for the consumer and therefore it is important that the consumer is aware and makes an informed choice accordingly. There are several instances wherever the promoters of an flat don't transfer the complete extent of land to the patrons of flats. Instead, he or she tends to retain a little of the undivided share that is after victimized resulting in varied complications. At times, the builder or his representative contend that they're conjointly co-owner of the flat complicated since they own a share of the land and demand that their cars be pose or retailers be made for his or her use. However, the court within the case involving (writ petition No.39468 of 2002) bank of Travancore and therefore the regime of province et al has command that someone cannot retain ANy undivided share of the land in AN flat complicated unless he or she is an flat owner and in possession of the made space within the building. In1982, the bank of Travancore purchased eight out of twelve flats made within the initial And second floors of flat complicated and in hand an 919/1779 undivided share of the land. Of the remaining four flats on the third floor, 2 flats were purchased by Ms.Bharat Earth Movers restricted and therefore the different 2 by 2 people at the side of a 446 /1779 undivided share of land. The balance 414/1779 undivided share of the land wasn't sold . The twelve flats within the complicated were punctually two-handed over to the individual house owners in 1982 when receiving the due payments. after, the owner regenerate the automobile parking areas into six retailers in violation of the sanctioned arrange and applied for regularisation of the deviation.His application was rejected and conjointly the charm filed against the rejection. The city Corporation was directed to require appropriate action to get rid of unauthorised construction. When the city Corporation didn't take away the unauthorised construction, M/s.Bharat Earth Movers, one in all the flat house owners filed a judicial writ petition within the Court to direct CMDA and therefore the Corporation to demolish the deviation. The Corporation of city and CMDA gave an enterprise to the court that the action would be taken. The deviated parts were after destroyed and therefore the entire automobile parking was two-handed over to the flat house owners for joint possession. Meanwhile, the promoter of the flat died and his legal heirs claimed that the complete automobile parking on the bottom floor was in their exclusive possession and place up shutters. This was challenged within the court stating that the complete land on that the flats were made together with automobile parking belonged to all or any the flat house owners. The promoters argued through their counsel that solely a little of the undivided share of land was sold and 414/1779 undivided share were preserved by them. Hence, the promoters claimed that they need a right within the land and therefore the entire ground floor, aside from a little that was sold to the opposite flat house owners. Hearing the arguments on either side, the court command that someone cannot retain ANy undivided share within the land unless he or she is an flat owner and in possession of the made space within the building. States like Karanataka have created it necessary that the undivided share of the land can't be registered in isolation and that they have to be compelled to be registered at the side of the flats. This has helped arranged the issues for the patrons and has conjointly helped earn additional revenue for the State. What to ascertain in Agreement? When you get the property, your builder can offer you a date after you have to be compelled to return to registration workplace and every one the agreement work are going to be done. Most of the days, builders are reluctant to indicate you the agreement copy. However they're going to be able to share somebody else agreement copy at their workplace or at the most site. Just have a glance at that agreement that is sort of a specimen or the format, on a number of the page, you'll see “Details of Undivided Share of Land” and it'll be mentioned in proportion terms like “0.45%” or precise space in sqft terms. simply scan the complete factor rigorously. Then once the particular agreement should occur, you'll be able to then scan the agreement thoroughly and make certain you take care of now in your agreement copy. A tiny low tip here is that once builder calls you for registration, tell him you'd prefer to precede one hour from the regular time and have a close check out the agreement, if potential conjointly get a attorney with you and have him check out the agreement. The apartment Owners' Associations/Societies primarily are shaped to seem once the common interest of their members and their common assets and work as a non-commercial/non-profit creating body. though' it's registered as non-commercial body, makes an attempt are created to convert the Welfare Society/Association into business and profit creating body by endeavor or permitting commercial activities. Further, though' solely the lodging house owners are eligible to become members of lodging Owners' Society/Association, however really, in bound associations, persons apart from the lodging house owners additionally become members of such association or society and additionally become workplace bearers of Board of Management.The non-owner workplace bearers might not have commitment for the common welfare and for the event of the association and thereby lapses do occur within the management of those welfare associations. 1. No basic records are obtainable with Society / Association. Even the Register of Members isn't unbroken updated and copies of Sale Deeds of lodging in favor of members aren't obtainable with Society / Association. 2. There exists no workplace area for the Society / Association. In and of itself even the routine work of the Society / Association can't be performed in an exceedingly scientific and orderly manner. This might have an effect on the preparation of the documents for the periodical conferences and also the general body meeting. 3. No attending Register is maintained for paid workers of the Society / Association. No paid care-taker is engaged by Society / Association to figure on full time basis. No duty list and temporal arrangement is per his appointment order. No down payment is taken from the care-taker. 4. Subscription and maintenance charges bills aren't issued monthly often, and even though issued, these bills might not contain the penalty quantity for the late payment of association fees. 5. Defaulter list containing flat No., name of Defaulter and quantity due from him isn't exhibited on bulletin board. 6. Outside public are allowable to use bathrooms within the dwelling in cellar portion. 7. Traveler lifts are used for carrying significant and ponderous things. 8. Visitors' Book isn't maintained properly at the doorway of dwelling. 9. Sales person’s are freely allowed to contact flat occupants purchasable of their product. 10. Dwelling isn't insured against hearth, earthquake and alternative similar natural calamities. 13. auditing of accounts is either avoided or delayed. 14. Maintenance charges are charged for retailers on par with maintenance charges for residential flats. Maintenance charges for four roomed, 3 roomed, 2 roomed and one roomed residential flats are charged uniformly. Sharing of maintenance charges on pro-rata basis betting on the worth of an lodging is welcome. 15. Enterprise like shop, Creche, Toddler, School, outlets are allowable in residential flats. 16. Transportable communication towers are allowable to be erected on the terrace of dwelling. 17. Legal obligations of Society / Association like (i) Submission of Annual come of elective member of Board of Management (ii) Submission of Annual Audited budget to Competent Authority (iii) Submission of any modification to registered bye-laws of Society / Association for approval and filing in records of the Competent Authority aren't complied with. 18. Unauthorized construction in common space and within the flats are allowable by Society / Association with silent approval. 19. Society / Association permit extra floors to be made on existing building while not Municipal Sanction. 20. Society / Association starts to perform once solely an area of the building is made while not getting Occupancy Certificate from Municipal Authorities. 21. No. surprise checks are created throughout night times to ascertain whether or not watchmen are argus-eyed whereas on duty. 22. No surprise checks are created for unauthorized vehicle parking within the parking lot. 23. No tripartile Agreement is executed between Society / Association, owner member and also the tenant / leaseholder. 24. No copy of registered bye laws with amendments are given to new entrants as members. 1. Inadequate hearth fighting systems are provided within the flats buildings. 2. The building isn't insured against loss as a result of natural calamities like hearth, earthquake, significant rains, floods and lightening etc. 3. There's no provision for lightening arrestor for tall buildings. 1. No correct security arrangement to ascertain intruders moving into the flats building. 2. Bodily weak, Semi-blind and semi-deaf security guards are announce in building for watch and ward duty. 3. No visitors' book is maintained at entrance of the building and it's not rigorously examined. Sales men have free access to every flat to sell their product. 4. 2 entries and 2 exits in a flats building might cause significant issue from security purpose of read. 5. Lack of compound wall all around and / or wire fencing on high of it might once more cause drawback from security purpose of read. 6. Absence of written document records of normal guests to the dwelling like Maid Servants, Dhobi, Newspaper vendors, milkmen etc. might additionally cause drawback from security purpose of read. 7. Watch-men aren't given list of flat Nos. and their vehicle numbers (cars, scooters, motor bikes etc.). These lists would be helpful to watchmen to stay a watchful eye on unauthorized vehicle mistreatment vehicle parking lot. 1. There's no schedule of normal / periodical examination of flats building to spot prevailing defects and to rectify them in time. 2. Appropriate steps aren't taken to unravel the inadequate Municipal facility, defective within the facility net-work, and un-uniformed facility in numerous floors of the dwelling and to every flat of identical floor. 3. Cob-webs and wild plants are allowed to grow and unfold everywhere building and harm the building by making cracks. 4. Flower plants are allowed to die as a result of lack of systematic watering of these plants. 5. 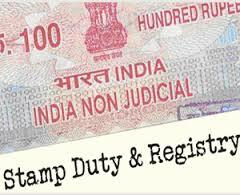 No artificer and trained worker is acting on yearly basis to attend day to day issues. Wherever yearly arrangement is created they're not revived once a year. 6. Vehicle parking lot isn't washed with water for years along. 7. Overhead water tanks and underground sumps aren't clean sporadically. 8. Open wells aren't lined properly and that they aren't clean sporadically. 9. No stand-by pumping arrangement is created for obtaining continuous facility. 10. There aren't any long coming up with for maintenance of building leading to the leak within the Cellars throughout time of year. 1. The Society/Association isn't run as an establishment. It’s run during a} very casual and informal manner. 2. Workplace bearers of the Society/Association ordinarily work while not remuneration and thereby they carry an impact that they're doing a favor to the Society/Association by rendering their free service and in and of itself they're not answerable or answerable for all their actions within the society's work. 3. There's no effective machinery from Government to observe the performance of those Societies/Associations to form them useful as accountable establishments. 4. There aren't any complete Bye-laws for these societies to be followed by the workplace bearers of those societies. Thus the Society/Association runs in associate degree pseudoscientific manner with no accountability for the lapses committed by the workplace bearers that successively might hurt the Society/ Association. 5. Most of the members of the Society/Association are uncaring and non-vigilant on the lapses committed by the workplace bearers. These members don't take active half within the functioning of the Society/Association, however permit to be managed by a few of persons that successively would result in misdirection of the funds of the. Society, keeping transparency in its acting at bay. 6. Content of applicable laws and their non-application in day to day functioning of the society would herald unskillfulness within the Society / Association. 7. 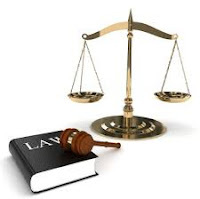 Absence of adequate and clear-cut provision within the Registered Bye-laws of the society would provide encouragement for arbitrary unlawful choices within the Society / Association. The process of buying and selling of immovable properties has become complex and the people who make things happen have increased. Now, you will have to deal with real estate brokers/agents, appraisers, financiers, lawyers and other personalities that will be needed in the process. It is better to get the right people to represent you and protect you from possible unusual circumstances. Availing of the services of professionals is the first step in protecting yourself from fraud. These professionals know indicators of bad deals and they can easily advise you on your possible next moves to avoid negative experience. The best person to protect you from frauds is a realestate lawyer. You have to find one who will only be loyal to you and nobody else. He is the person to trust and he is responsible for protecting your interest. You have to make sure that you will be hiring somebody who is trustworthy, experienced and credible. Sometimes there is a higher price tag for this type of advocate but it is surely worth the difference in price when you get somebody you really do not know. In your hiring process, never trust recommendations without doing your background check. When you already have a trusted property lawyer, you can avoid fraud by not signing any document that your lawyer did not approve. There are many cases when people sign documents without the advice of the lawyer and end up discovering that there are stipulations in the document that were not agreed on. Always use the services of your lawyer whatever is your concern. You have to be honest and tell him about your observations and listen to him as he will always have recommendations that can make you benefit even more. The most important way to avoid fraud is to know what the law says. You also have to do due diligence in updating yourself about the state of the real estate industry and improve on your level of understanding in the field. The knowledge that you gain can make you do away with suspicious and fake dealings. In a move to ensure every household has a roof over their heads by 2022, the housing ministry is likely to increase interest subsidy for flats under economically weaker section (EWS) and low income group. Sources said the proposal has been formulated based on the recommendation of an informal group of ministers, which looked into the `Housing for All' scheme. The fresh proposal would be placed before the Cabinet for its approval. TOI has learnt that one of the ministers in the group has suggested that there should be 0% interest for people falling under the category of EWS. He has suggested that the cost of such flats should not be more than Rs 5 lakh in any urban area so that people across all sections can own a house. One of the major components of the ambitious scheme is to construct at least two crore affordable housing in urban areas. The cost of such flats is estimated to be around Rs 6.5 and Rs 7.5 lakh. There are also provisions including interest subvention scheme in the housing sector that will meet part of the buyers' home loan burden. While there are several dos and don'ts around financial decisions to keep an eye out for, here are two realty opportunities that people should look at. 1. Think long and hard whether in this market you want to commit to buying a property, as rentals are typically, at less than 3% of the property value in most cities. People moving to a new city and knowing they are going to be there only for a few years, should rent. 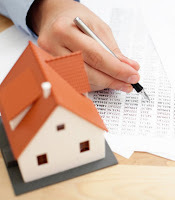 Calculate whether you should buy or rent a property on the basis of your income and prevailing prices. On the other hand, if you can land a good purchase price and see yourself living in this property for the next 7-10 years, then 2015 might be a great year to buy a home.. But be warned, it could take around 8-10 years too, for this property to appreciate meaningfully, at the current property rates. Since buying a home is an emotional decision as much as a financial one, a one-size fits all solution doesn't exist. We recommend that you try this Rent versus Buy Calculator to find out what works for you. - Reduce your EMI outflows in these inflationary times. This might just be the boost you needed, especially if your salary hike is less than expected. - Keep your EMI the same even if you get a lower interest rate. This way, the lower rate translates into lower overall interest payments and higher savings. - You can also increase the EMI but for a shorter loan tenure. This also leads to money being saved over the long term, if not immediately. Click this Refinance Tool to see which option suits you best. If it's an under-construction property you are considering, then check if the per square foot rate is low enough for you, to be able to absorb a delay in possession. As is often the case, builders delay delivery of their projects. You need to account for this delay, when judging whether the price you are getting is still worth it, even with a 1-2 year delay built-in to your budget. Since this decisions is going to take a lot of money out of your wallet, your basic diligence is a must. Look for builders with good street credentials and whose (reliable) reputation precedes them. While the realty sector is swamped with unsold inventory around the country, (and construction firms routinely complain about how sops are not being offered by the government to buyers), the fact is that this sector loads a lot of margin, over and above its actual costs. So watching out for yourself and not getting fleeced - either by banks or realty firms - should be your motto. The Indian real estate sector is growing, and so are the scams and frauds associated with it. Consumers now-a-days are more informed, but ironically are still susceptible to scams. Real estate scams run the entire gamut, from legal frauds and fly-by-night operators to false promises and untenable buy-one-get-something-free offers. With increasing competition in real estate, builders are trying to lure as many buyers in the initial phase of a project to meet their funding requirements. Advertisements with false promises are part of it. A Gurgaon-based real estate developer was recently accused by over 700 investors of embezzling more than Rs 1,000 crore in a real estate project. The developer had assured investors of 12% returns on the invested money until possession, but the cheques given by the company bounced. To worsen matters, investors faced inordinate project delays, grinding their property investment dreams into dust. Many builders market their projects by assuring a fixed rental income from properties. Some builders even publish fake rental listings of various projects over the internet. If the prospective buyer does not conduct his own research, he may actually believe that the property once bought can be easily rented out for a fixed monthly income. But, in all reality, once the purchase is over, rentals are hard to come by, leaving the investor in a lurch. As for the builder, the unscrupulous variety vanishes without leaving behind a mud trail. This happens with both individual sellers and developers. There have been cases where scammers have duplicated title deeds of vacant or disputed projects and sold them to innocent buyers. "By the time the fraud is detected, the scammer is far out of sight, counting the wads of money he has made. A related genre of real estate fraud is where buyers purchase their dream home only to later come to know that the project does not include that part of land the builder had specified as theirs when they booked it," observes BankBazaar. Project delays and disappearing builders are another common occurrence in real estate fraud. One strategy unscrupulous builders resort to is to delay project completion deliberately until they get requisite number of buyers. Yet others divert the money pooled from one project to another, delaying both projects in the process. Many new and existing builders have left a trail of gullible buyers who have just property purchase agreements to show and are kept on wait while they pay huge rentals. Many projects when completed take several deviations from the approved plan in terms of common areas. This possesses a huge challenge for many buyers who have to compromise on common amenities, spaces, promised luxuries and even on core project amenities like dedicated parking space despite having made additional payments for the same. 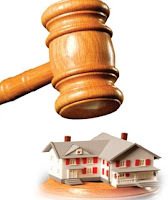 There are many cases reported where buyers are left wringing their hands in despair even after possession, since several sanctions for utilities like electricity connection, water connection, etc. were pending. Issues like plot in unauthorized layout or sub-divided land, building with land use violation, setback violations, floor area violations, etc.detected after agreement formalities and construction have commenced could lead to delay in other downstream approvals and title registration. It is imperative to hire the services of a legal advisor and discuss all property-related documents with him before signing on the dotted line with the builder. "With the advisor's help, ensure that all government approvals are in place. If the builder fails to show you the complete set of approvals or only has partial approvals in place, think twice before investing in such a project," advises Bank Bazaar. Make sure you do your own background check and research on the builder and their credibility.Use the power of the internet and social media to your advantage. Check their completed projects list, track records and ensure that they are members of real estate bodies like CREDAI.